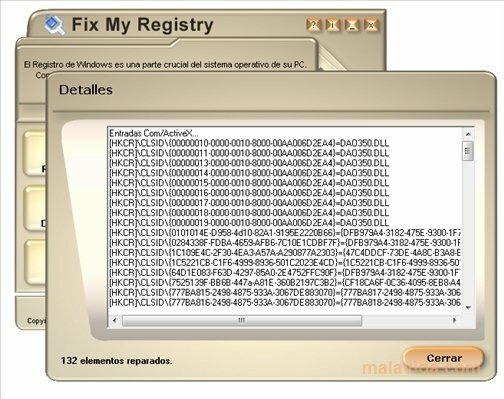 One of the most important aspect to look after of our operating system is the Registry, because any Registry error can cause a bad performance of our computer or an failure during the installation or uninstalling of an application. 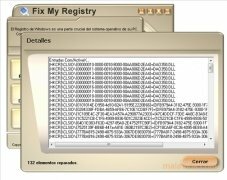 Due to this it is advisable to have an application like Fix My Registry, that allows us to delete the unnecessary entries from the Windows Registry. 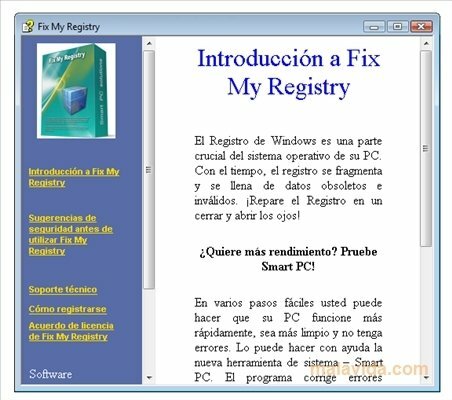 This application allows us to greatly improve the Registry in the most simple way, only requiring us to press a couple of buttons, something that is ideal for those users that don't have much computing knowledge. 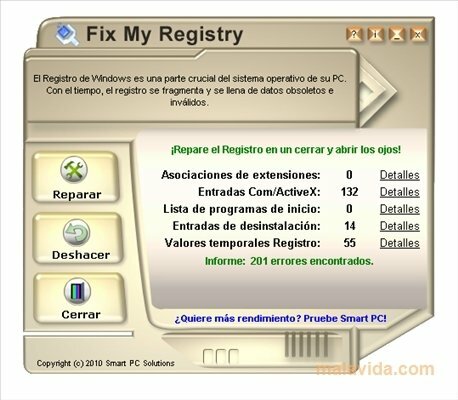 The program also offers us the possibility to undo the changes that we perform, in case any problem arises in our PC after performing the cleaning, as well as showing us the modifications that have taken place after each registry improvement. 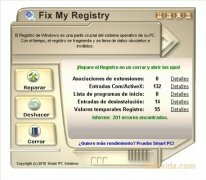 If you want to optimize one of the most important elements of Windows, but you want it to be fast and easy, download Fix My Registry.